Leaving your house is the pits. The world is full of frightening things like this and this and most definitely this. That's why an increasing number of people like having groceries brought right to their door instead of hiking through national park-sized parking lots. So, of course Costco is getting into the delivery game. The warehouse grocer has announced the launch of two new delivery options, including one that offers free delivery. The completely new service is CostcoGrocery, a two-day delivery option that's completely free if you spend at least $75, which is easy to do at a store where everything comes in a pack of 6,000. There is a $3 fee to have an order under $75 delivered. 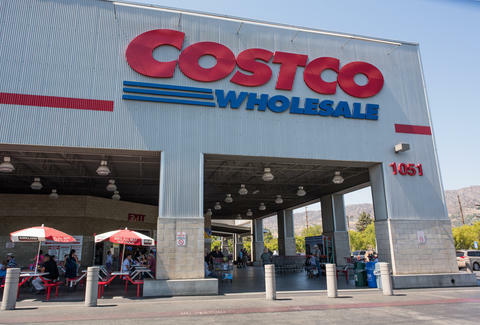 CostcoGrocery will get you dry goods the day after you place your order on the Costco website. The service will be offered nationwide, with the exception of Hawaii, Alaska, and Puerto Rico. It gives you access to around 500 Costco items, including cleaning supplies, canned goods, cereal, and other dry goods. Perishable items like dairy and produce are not available. Unfortunately, Costco says goods sold through this service will cost more than the same items in store, according to the Los Angeles Times. It did not specify how much more items would cost. If you're foraging for fresh food, Costco has expanded its partnership with Instacart, a same-day grocery delivery service that will get you the sweet perishables you crave. Costco offers about 1,700 items via Instacart, but you have to pay a free for deliveries under $35. Goods will be more expensive on this service as well, and the store will add a 10% service fee at checkout, though customers "may elect not to pay the service fee." While you can get a year's worth of toilet paper in a single box, you aren't getting the full Costco experience with delivery. You can't fill yourself with samples and cheap hot dogs.